Anne has over 20 years experience teaching mathematics including statistics, and calculus in Tauranga secondary schools. For the last 8 years she has specialised in private tuition. Anne helps her students enjoy Maths and find it rewarding. Her expertise and wide subject knowledge allow her to identify and overcome obstacles that prevent students from mastering Maths. 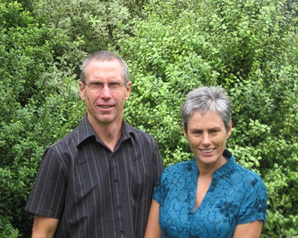 John has more than 25 years experience teaching mathematics and sciences in Tauranga Secondary Schools and held the position of Head of Physics. For the last 8 years he has specialised in private tuition. John relates easily to his students and his knowledge of Physics and Chemistry enables him to explain complicated ideas in ways that they can be readily understood. His lessons are enjoyable and give his students the confidence to succeed.